IT’S TIME for another edition of the Midnight Garden Ride. 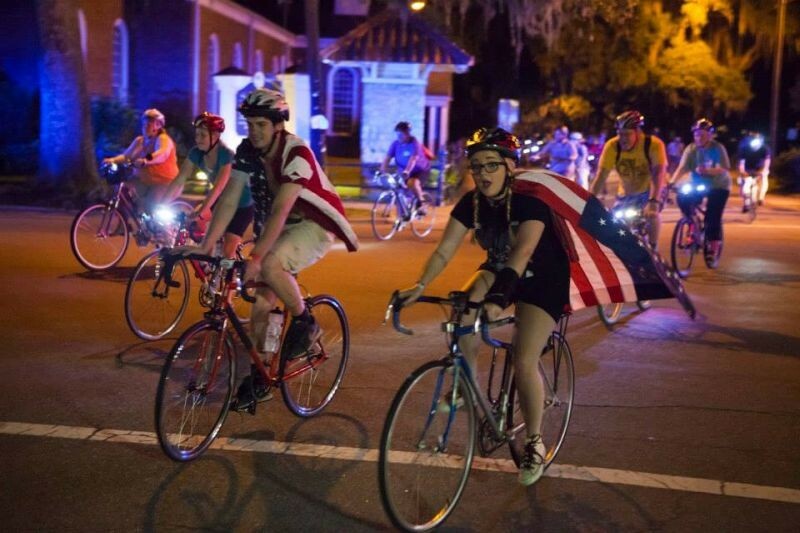 On Saturday October 21, cyclists from all over will meet at Grayson Stadium, departing at 7 p.m. on a relaxed, escorted journey through the streets of Savannah while accompanied with lights, music, and a family-friendly atmosphere. “The Midnight Garden Ride, presented by Chatham Orthopaedic Associates, is now in its ninth year, and we’ve had a blast putting it on every year,” says Caila Brown, chair of the Savannah Bicycle Campaign. Hosted by Savannah Bicycle Campaign, the Midnight Garden Ride— the group’s main fundraiser each year—seeks to bring awareness to improve the infrastructure, education, and enforcement of traffic regulations to provide a safer environment for cyclists in Savannah. 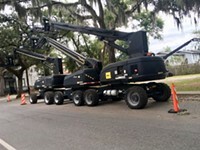 The route of about nine miles is fully escorted by police to ensure safety and unimpeded progress. 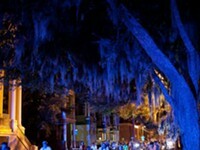 The roughly hour-long ride goes through many of the Savannah’s historic district’s squares for a fun-filled evening and a rare opportunity to enjoy a completely relaxed, safe ride after dark. “We believe one of the best ways to see Savannah is by bike, so we’ve created a route that touches every square and showcases the history, architecture, and creative culture of our jewel of a city,” Brown states. In light of Halloween, the costume competition takes place before the beginning of the ride for the Good and Evil Party. Cyclists will return to Grayson Stadium after the ride to enjoy festivities and live music performed by Isaac Smith. One of the sponsors for the ride, Savannah Sport and Social, provides games and fun for all ages during the Good and Evil Party. 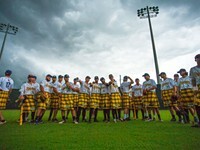 Savannah Sport and Social is a nonprofit recreation league that raises money for local charities. 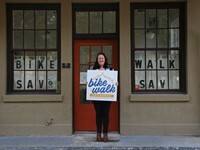 “Bicycling has a huge impact on Savannah. Over eight percent of our residents lack access to a motor vehicle, contributing to our status as the city in Georgia with the highest rate of bicycling commuting,” Brown says. “If we as a city invested in safe, reliable and connected infrastucture, we could see the numbers of people on bikes increase dramatically!” she concludes. Riders in the Midnight Garden Ride must have all legally required safety equipment, which in Georgia includes a red light or reflector on the rear of your bike, and a working white light on the front of your bike. Helmets are a must for all participants. The Savannah Bicycle Campaign will offer lights for sale at the stadium at a reasonable price for those who don’t already have them.